April 12, 1960 – The Chicago Daily Tribune reports that the Chicago Park District will convert an abandoned Nike missile site at Twenty-Eighth Street and Michigan Avenue to a recreational area as soon as officials at Ft. Sheridan deliver the key. Daniel L. Flaherty, the park district’s general superintendent, says that the city has been waiting for the key to the 16-acre fenced-in area since the U. S. Army Corps of Engineers announced its intention to abandon the site. 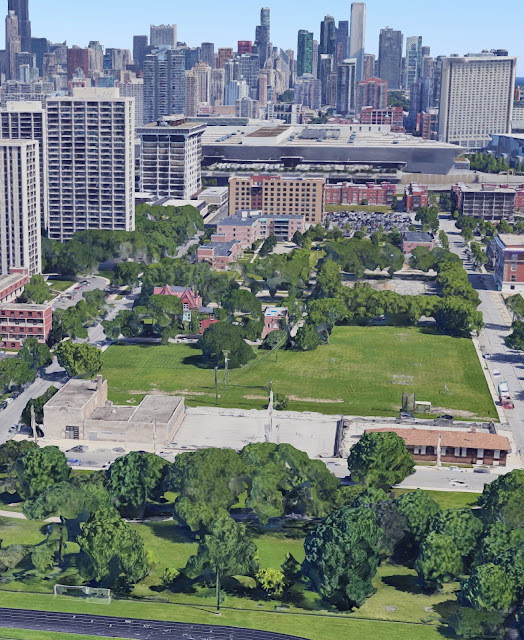 The Chicago area, one of the larger Nike missile regions in the nation, had about 20 such bases. The earliest Nike missiles had a fairly short range which required a ring of overlapping bases in close proximity to one another. The early missiles, developed in the early 1950’s, were marginally capable of shooting down enemy aircraft, but they could not defend against incoming missiles. The next generation of Nike, the Hercules, could carry a nuclear warhead, but despite its newer technology, it, too, was thought to be inadequate for protection against a missile attack. By the mid-1960’s methods of transporting the missiles and its support equipment from one site to another were developed, and the use of fixed launching sites gradually began to end. Additionally, the Soviet Union’s movement away from a large bomber force made the Nike less and less practical. By 1969 there were only 82 sites left in the whole country out of the original group of 240. By 1974 there were none. 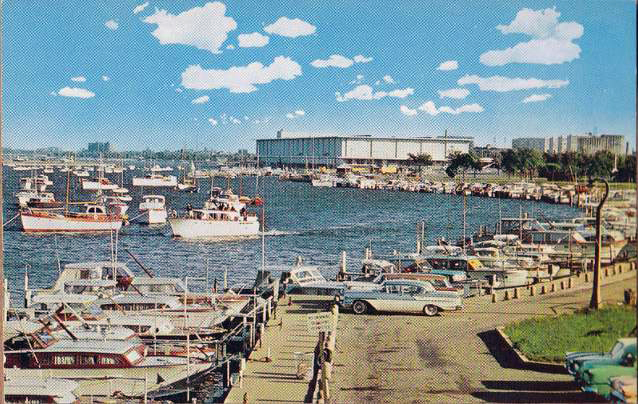 The site acquired by the park district in 1960 appears to be just south of today’s Dunbar Park as can be seen in the above photo. April 12, 1896 – The Chicago Daily Tribune reports that Sheridan Road has been improved from Lincoln Park to Edgewater. Another section of the road, from Evanston to Fort Sheridan, also has been completed. There is a two-mile stretch through Rogers Park that has been laid out, but which still is “simply a sandy, dusty street, which no one cares to travel on.” [Chicago Daily Tribune, April 12, 1896] The article urges voters of Rogers Park to vote for the establishment of a North Shore Park District that will take charge of the part of Rogers Park east of Ridge Avenue. Establishment of such a board in the election, to be held in the upcoming week, would be positive, the paper asserts, allowing a representative body to improve Sheridan Road and other roads like it, perhaps even establishing a park on the lake shore. The new Sheridan Road ended at the Fort Sheridan tower which at the time was less than ten years old itself. 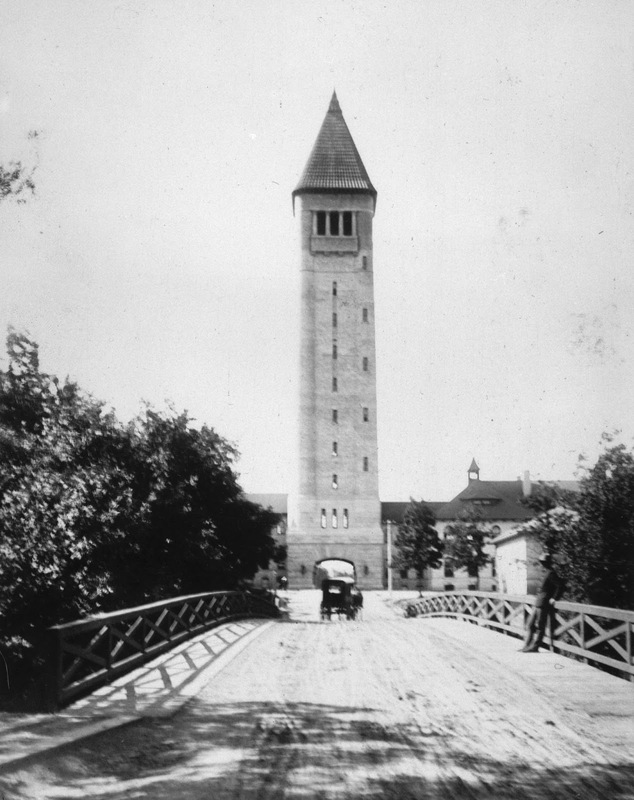 The tower is pictured in 1900 in the above photo.